Taping of an injured body part is done to reduce the pain and stabilize the joints having pain, but mostly, it found that taping is a sticky activity. For years, in one or another form Tapes are used to support the athletic performance and rehabilitation process for those who are suffering from joint pains or muscular disorders. And Kinesiology tape or K Taping is a new addition to the world of taping and gaining wide acceptance. Kinesio taping, or K-Taping is altogether a new concept that is nonpharmaceutical and is looked as an alternate to athletic taping. And reasons that, it has gained tremendous popularity among the masses in last few years. The K-Taping effective in supporting or maintaining activities of daily living, mitigates the rehabilitation or injury time, and also effective in other syndromes or disorders. The nature of some malady; that decides the taping to be used. K-Taping offers an exhaustive array of therapeutic benefits. Once applied the taping can be left for several days or in some cases for up to a week, the taping therapeutic benefits are available to the injured area 24 hours a day. And this feature allows an accelerated healing process in the cases of trauma, inflammation, and injuries. 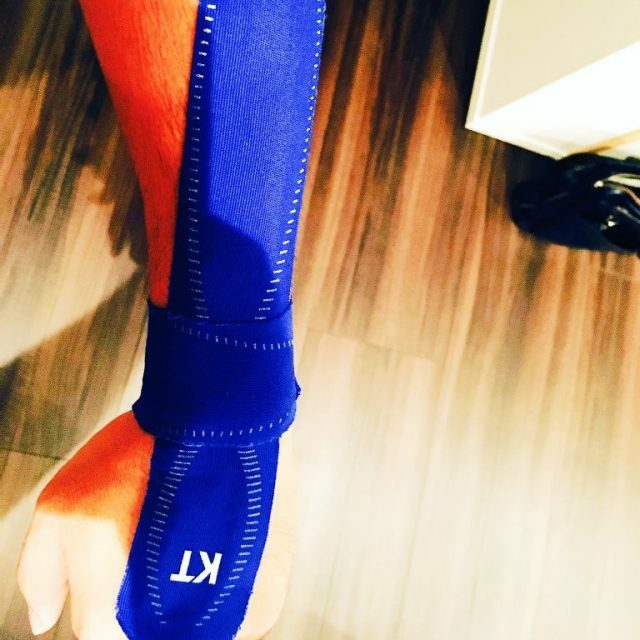 The K Taping Therapy use a flexible tape that moves with the movement of body. The agile nature of taping prohibits it from slipping from the area where K Taping applied. K-Taping provides extensive support to the injured area, leading to relief from pain. Further, it provides muscular support and mitigates the chances of muscle inhibition in the injured area. K Taping Therapy has many benefits some are listed below for your reference. Pain Relief: - It improves the lymphatic flow, which in turn mitigates the swelling and decreases the activation of pain receptors that helps in providing immediate relief from pain. Mitigates inflammation and swelling: - The tape allows to mitigate the pressure on the lymphatic drainage channel that allows removal of fluids and other material collected in that area in a better way. Prevents cramping and spasm: - The element that reduces inflammation also allows to prevent or relieve cramps and spasms in injured or overused muscles. Rapid restoration of overused muscles: - The ability to continue with the exercise is affected to a great extent by the by-products of exercise like lactic acid that are contained by overused and fatigued muscles. K-Taping is applied over these areas with intent to remove these by-products and allow rapid restoration of the affected area. Motion is not restricted only support is extended: - It comes with a unique elastic property that allows it to extend support to the injured joint or muscle without being restricting the range of motion of joint or muscle. Keeps athletes agile while being injured: - If we talk about the most important K-Taping benefit for all athletes, it keeps them agile during their injury also. When K-Taping is used as a therapeutic tape, it prevents the overstretching as well as over contraction of injured muscle. Severe injuries are the exceptions, else an athlete can continue with competitions and training schedules, the tape allows the injuries healing. Embellish strength and muscle tone within a week's time: - There are muscular or neurological disorders that make the muscles weak to such an extent that workout required to improve daily activities becomes next to impossible. In all such cases, the K-Taping is used provide support to all such muscles, and it also improves the muscle activation that helps in carrying out therapeutic exercises in a more effective manner. If we talk about the physiotherapy treatment, almost the entire spectrum are thoroughly supported by K-Taping. 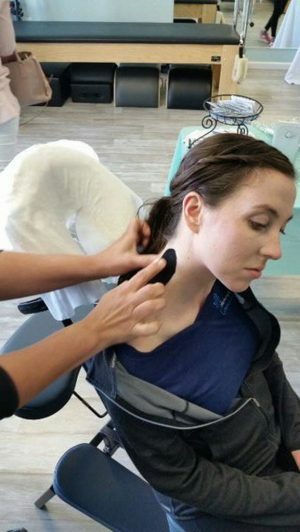 K-Taping provides the therapists and doctors opportunities to explore the multitude of new treatment possibilities. The K Taping effective in muscle tension, back problem, disc problems, joints instabilities and can also be used for the problems like tinnitus, migraine, urinary disorder and menstrual pain. Further, it offers an effective post-operative approach in lymphatic therapy, and one of the example is a breast cancer operation. 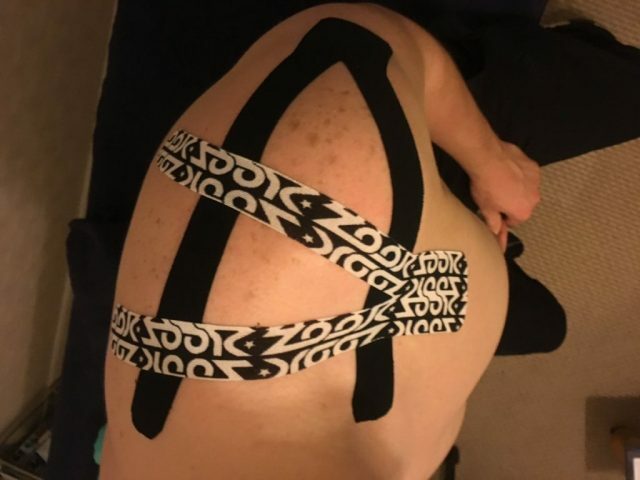 K-Taping is well established and has a wider usage in professional and competitive sport for prevention, pre-training preparation, and treatment. Whatever the scenario is K-Taping ensures the full patient mobility, and the only decisive advantages that possess over the other conventional methods of treatment. The successful implementation of K-Taping largely depends on the professional training and specially developed elastic tapes. K-Taping has an elasticity that is in line with the human body, it is water resistant and enabled with breathable properties that allow it to provide lasting comfort and long wearing. Human body provides a wave-like acrylic coating, which is used for the application of K-Taping Technique and it also supports the body mechanical functions. K Taping neutral to human skin, as it does not have any pharmaceutically active or adhesive ingredients. Agility of the body is maintained under all stress during the work, showering, sports activities, swimming and other daily life activities. The whole concept of K-Taping therapy is based on two main effects. The Simulation of skin receptor is the first effect, it mitigates the pain and helps in proprioception. The tape highly influences the complex interaction between joints, nerves, ligaments and muscles. The second effect of elastic K-Tape takes place when particular application techniques raise the tissues and skin. The K Taping is conducted to create more space in the damaged tissues, which aids to easy flow of lymph fluid, improves blood circulation and the pain receptors are relieved to a large extent. The improvement in blood circulation alone is enough to stimulate the body healing process.